Cue the binge session—it’s time to get caught up on the best of the West (movie-wise, at least). Filming spanned almost the entire region, with set locations including Monument Valley, Utah; Canon, Colorado and Mesa, Arizona. The train trip in this adaptation of Jules Verne’s novel was filmed on the Durango & Silverton Narrow Gauge Railroad. 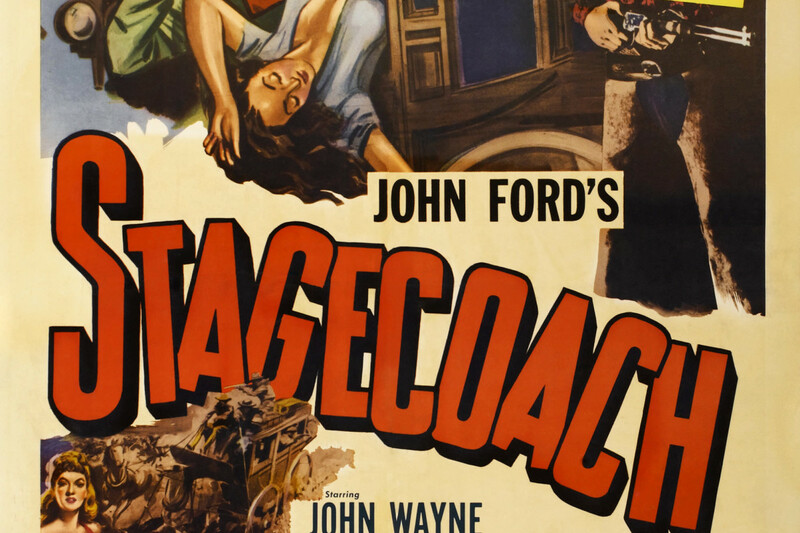 Portions of this John Wayne classic were filmed in Ridgway, Colorado, which is now home to the True Grit Cafe. This classic Western’s location list is like a greatest hits album of Southwest haunts, including Zion National Park, Taos, Silverton and the Durango & Silverton Narrow Gauge Railroad. Tricks of the trade: The scene where Clark tries to cash a check at the Grand Canyon’s El Tovar Lodge was actually shot in the Strater Hotel in Durango, Colorado. That classic cash register in still in the lobby, ready and waiting for you to take a selfie with it. Spoiler alert: The spectacular cliff the ladies drive over is at Shafer Overlook near Moab, Utah. Like so many others before him, much of Mitch Robbins’ (Billy Crystal) journey to find himself took place in Abiquiu, New Mexico. This movie, based on a novel by Santa Fean Cormac McCarthy, was filmed in some of New Mexico’s most memorable landscapes, from Santa Fe to Arroyo Hondo. New Mexico’s Bonanza Creek Ranch played the part of Bisbee, Arizona in this remake of a classic. Directed by Quentin Tarantino, the all-star cast includes Samuel L. Jackson, Kurt Russell, Jennifer Jason Leigh and Channing Tatum, but perhaps even more stunning is the backdrop. Much of the production was filmed outside of Telluride at the 1882 Schmid Family Ranch.